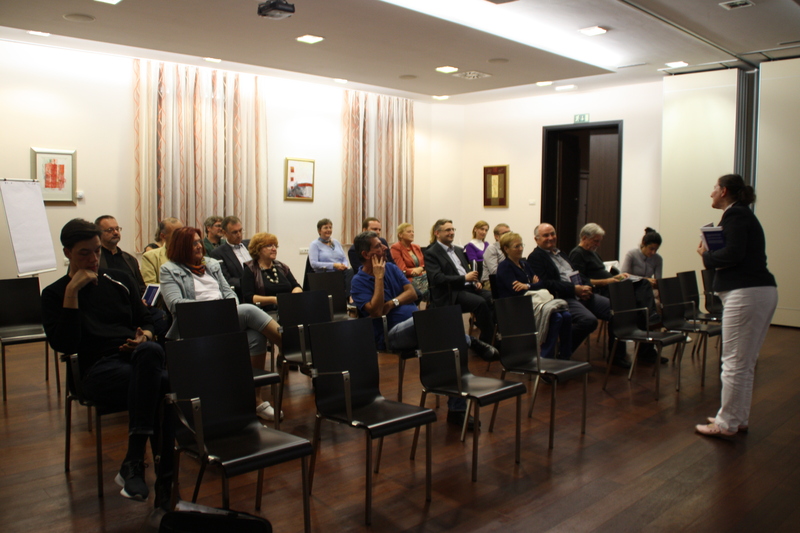 The first PHE Excellence Forum was held from 28th September – 1st October 2016, in Logarska Dolina, Slovenia. 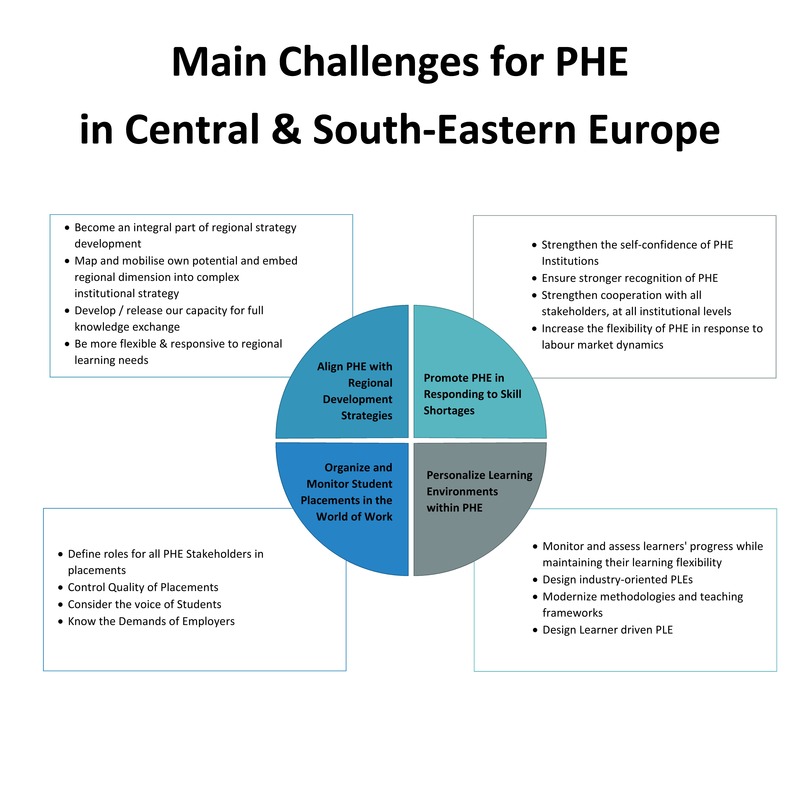 The forum brought together about 40 experts from 12 countries around Europe to discuss challenges facing the PHE sector in Central and South-Eastern Europe. The event is a direct followup to the meetings of the PHE Excellence National Committees which were held between May and September 2016 in each of the participating countries of the project. The forum tackled four thematic areas (Alignment of PHE with regional, local and economic development strategies; Promotion of PHE in Responding to Skill Shortages; Organizing and Monitoring Student Placements in the World of Work; Personal Learning Environments in PHE) of the project where experts shared and identified national, regional and European challenges and later conducted a root case analysis so as to understand the factors which lead to perpetuation of barriers. In the coming weeks, “Policy Challenge Statement”, will bring together all the work that was done at the event, highlighting the main challenges facing Professional Higher Education in the region, together with the root causes that need to be addressed to move forward on those challenges. Following this the project will begin a process of collection of good practices, so as to identify successful policy interventions which have been applied to address the identified challenges anywhere in the world, and assess the possibilities for adapting the approaches for use in the specific situation of the CSEE region. The Knowledge Innovation Centre helped with the events content coordination, including designing the methodology, facilitating the sessions overall and developing the conclusions for the event.